When I arrived in town, the first place I wanted to find was Delgadillo’s Snow Cap Drive-In, as I was craving a vanilla shake (and I wanted to hear some bad jokes). I parked across the street from the Snow Cap, grabbed my camera, and decided to walk around town a bit to see what else I could find. 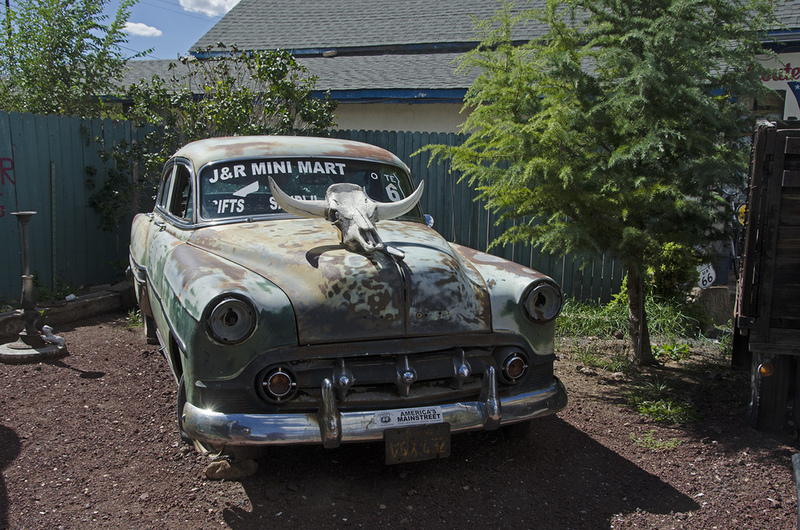 Seligman dates back to 1895 and was originally a railroad town known as Prescott Junction, later renamed in honor of Jesse Seligman who played a big part in getting the railroad financed. 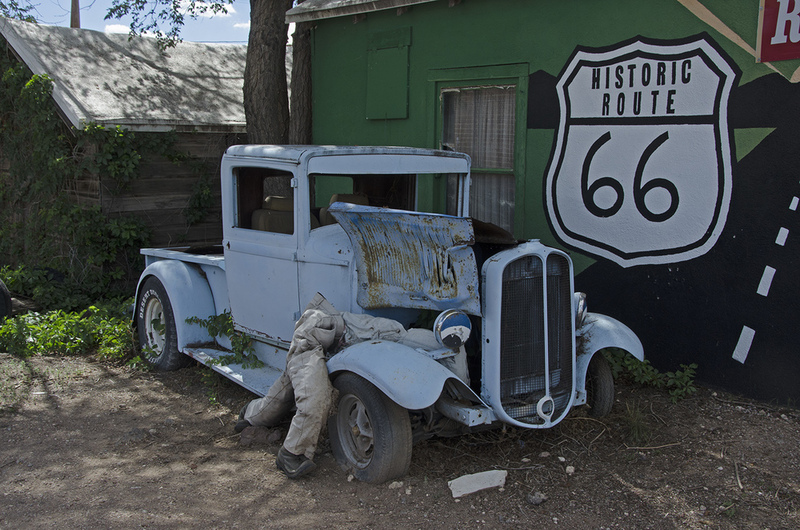 But when Route 66 was born in the 1920s, the town’s livelihood quickly became wrapped around the road travelers. 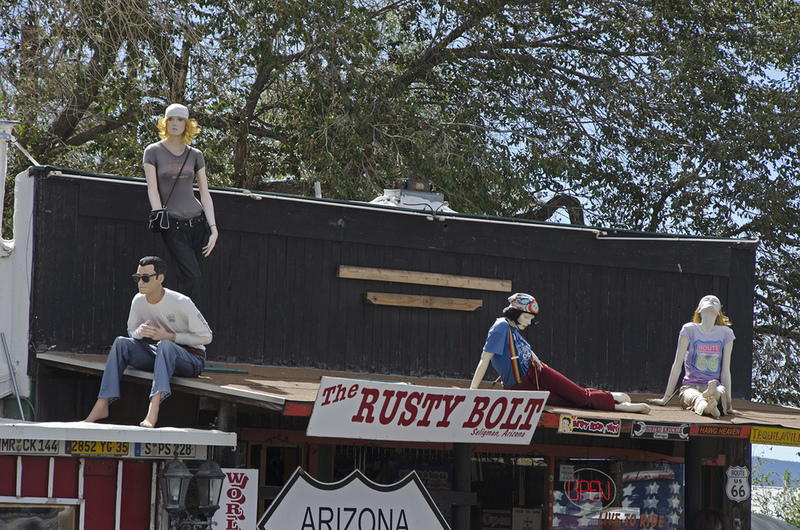 Motels, gas stations and diners all became big business and prospered for many years. 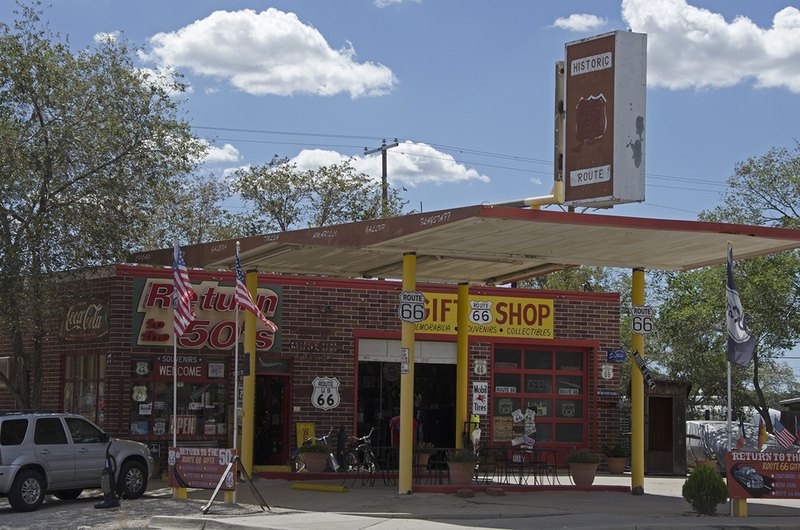 Ultimately, with the construction of I-40, Seligman and Route 66 were bypassed in the late 1970s. 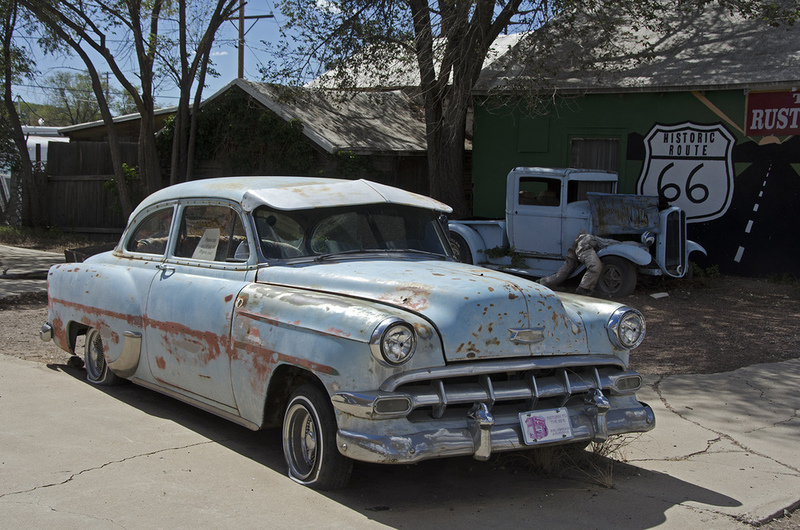 Fortunately, the town is located close to the interstate and still gets a lot of Route 66 enthusiasts driving the long stretch from Seligman to Kingman, or vice versa. It’s a great drive with a lot of interesting towns and points of interest along the way. Inside the Snow Cap. I stuck one of my business cards on the wall. A quick walk around the back yard. The Snow Cap was the highlight of my stop in Seligman. Sure, there are lots of interesting things to see throughout the town, but the Snow Cap is a pretty amazing place, both inside and out. I deployed a Munzee out back. I timed my visit just right; after I got in line a tourist bus must have unloaded because all of a sudden there were forty people in line behind me. I ordered my vanilla shake, heard a couple puns from the man in charge and was on my way. Definitely worth the stop.